The law, which is undergoing review by national legislators at the ongoing session of the National People's Congress, is expected to be put up for a vote on Friday. If passed, it will serve as the fundamental law covering foreign investment in China. And the three existing laws on Chinese-foreign equity joint ventures, wholly foreign-owned enterprises and Chinese-foreign contractual joint ventures will be abolished, according to the Legislative Affairs Commission of the NPC Standing Committee. Wang Chen, vice-chairman of the NPC Standing Committee, said on Friday that the new law draws on China's practical experience with foreign investment laws over the past 40 years. "It will establish a basic framework for China's new foreign investment legal system and reaffirm China's fundamental national policy of opening-up and its major policy of promoting foreign investment," he said while explaining the draft law to national legislators. Following a strict process, the law was included in the five-year legislation agenda of the Standing Committee of the 13th NPC, which was elected in March last year, and also in its detailed work plan for 2018. After thorough research and the solicitation of opinions, the State Council－the nation's Cabinet－made a draft of the foreign investment law and submitted it to the NPC Standing Committee for review for the first time in December. After the deliberation, the top legislature solicited opinions from the public and from foreign enterprises through various means such as holding seminars and releasing the full text of the draft online. A second draft version was formed and submitted to the NPC Standing Committee for a second review at the end of January. China's Legislation Law stipulates that a draft law usually goes through three reviews before being adopted, and those that play pivotal roles in major sectors should be submitted to the annual full meeting of the NPC for review. "And the foreign investment law will serve as a foundation for promoting and regulating the country's foreign investment environment," the commission said in a written explanation. Therefore, the NPC Standing Committee, after reviewing the draft law twice, decided to submit it to the second session of the 13th NPC for a third review. Another reason for its being deliberated at the full session of the NPC is that with its adoption, the previous three separate statutes concerning foreign investment, which were adopted by NPC plenary sessions in 1979, 1986 and 1988, will be abolished. In China, laws passed by the full session of the NPC can only be abolished by its full session, according to the Legislative Affairs Commission. 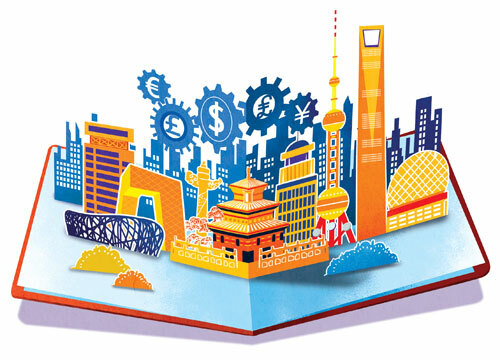 Regarding the relatively fast legislation process, Zhang Yesui, spokesman for the second session of the 13th NPC, said that the three current foreign investment-related laws are lagging behind the nation's new open economy and new challenges in foreign investment, indicating that a new law is urgently needed. Kong Qingjiang, head of the International Law School at the China University of Political Science and Law, said the process shows strong anticipation of such a law from both the government and the public. It also shows that basic consensus has been reached on some major issues and principles stated in the law, he was quoted by China Newsweek as saying.